A broke man's journey to a practical existence. Digging In: Cultivating for a small garden. Not everyone has access to a tractor but as far as cultivating goes there probably aren't too many quicker or more efficient options. It’s been hot lately which means the soil has been dry and easy to work, a blessing when it comes to tearing up a plot to grow a garden in. In my experience cultivating, it is almost impossible to start upturning the earth when your working in a sticky sludgy ooze. So for a while I was playing the waiting game to actually start digging in. Last week sometime I took advantage of the hot spell that we’ve been experiencing ( days of 90 plus) and dug in. This time around I used a tractor to work the soil with. I know that the goal of this garden is to show that planting can be done in a small city space and using a tractor is very counterproductive to that goal. But in the past two years I have used three different types of tools for cultivating, a tiller mounted on the back of a tractor, a Rear Tine rototiller, which is about the same size and shape of a lawnmower, and a human powered small garden cultivator. When I was planting my home garden in Oregon earlier this year I used the small garden cultivator to tear up my 8×8 garden space and then used it again to plant 3 flats of Zinnias, but after the long days of work here in Tennessee the tractor called and I answered. This is a rear tine rototiller. Automatic rototillers can shred the time it takes to cultivate a garden, however, this super time saver comes at a price. Like I said though, it’s not an easy task to get a tractor in the city and especially into a community garden plot or apartment garden. You might find a mob of people chasing you because you tore through there property to get to a spot and the 15 mile per hour max speed of the machine your using probably won’t be able to keep you ahead of the crowd for long. You may get a few of the rioters with the front end loader but you’ll probably lose the fight ultimately. 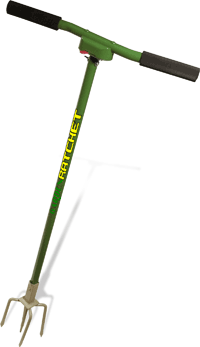 In the city the best options are rototillers and hand cultivators. A rototiller is excellent for small to medium sized gardens. Many are self powered and according to my uncle, the farm owner who has used many varieties of tillers, rototillers do a finer job of tilling than its cousin, the mammoth tractor. It’d be hard however to till much more than an acre with any type of hand-pushed rototiller or even “self-powered” varieties that still require a lot of pushing and tugging to maintain a good line. Small garden cultivators are perfect for the size of garden I’m working on right now. 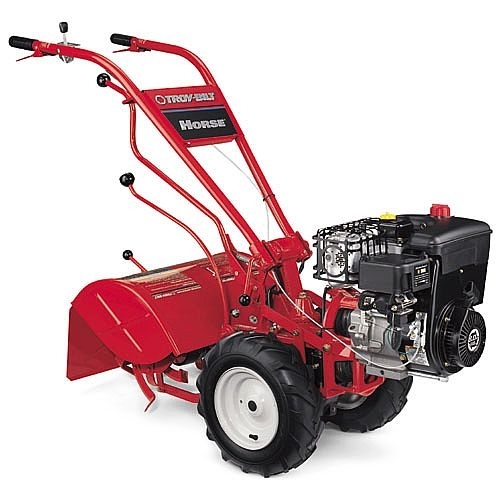 If you don’t have room to store a rototiller or if they would cover your gardening area in a couple of pass overs with the one to two foot wide machine then I would definitely suggest using the garden cultivator. They require elbow grease and aren’t for the lazy, but neither is gardening. A huge advantage to these types of cultivators is their price. A small garden cultivator will run you around $25-30 dollars depending on where you shop. Even the smallest rototillers start at $200, a large investment for a micro garden. If you are like me and trying to start a garden on a budget, then it’d be worth searching around for a friend or parent who already happens to have one of these tools around. If all that you can get is a automatic rototiller then that seems perfect, but none of these options are terrible for borrowing. 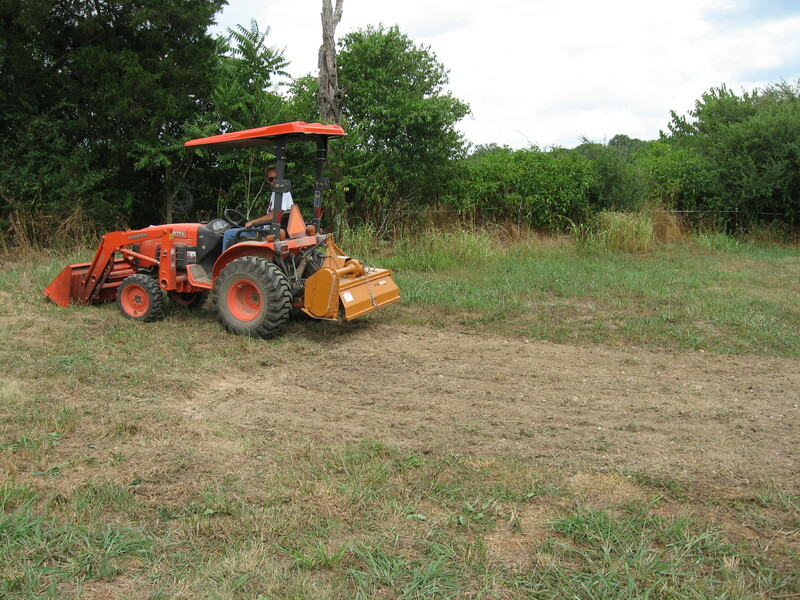 This entry was posted in Gardening and tagged community, cultivate, cultivator, DIY, farm, farming, food, garden, gardening, gardening basics, green, local, mud, off-grid, organic, rear tine, rototiller, Sustainability, tractor. Bookmark the permalink. I didn’t realize you could use one of those to actually start cultivating, but now that you mention it that purpose makes sense. We even have one in our shed that was use for weeding. Just so we can finish up this article then 🙂 how much space would you say it effectively can clear? This option has an added bonus as well, since it doesn’t take gas, you’re 0 emissions, on top of the workout you’ll get.